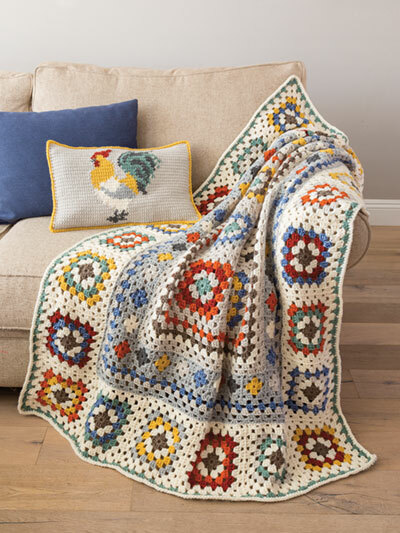 A new take on the classic granny square afghan! 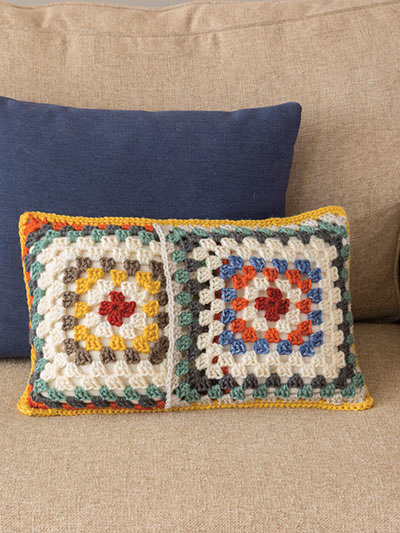 The light border sets off the darker center, and the interior border diamonds add a novel twist. 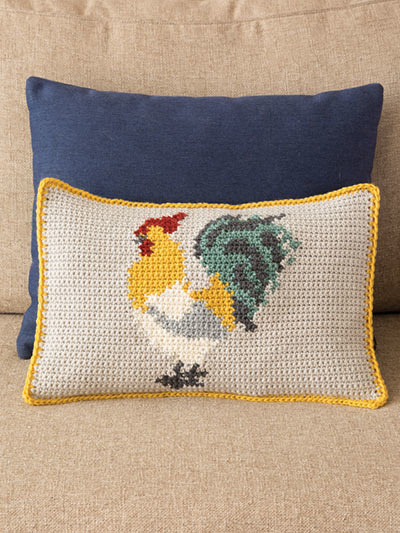 Pair with the handsome rooster pillow for perfect farmhouse decor. For the set, crochet with worsted-weight Lion Brand Yarn Vanna's Choice yarn: 5 skeins fisherman, 4 skeins linen, 2 skeins silver heather, and 1 skein each mustard, terracotta, denim mist, sage, taupe, charcoal and brick. Pattern uses U.S. sizes K/10 1/2/6.5mm and I/9/5.5mm hooks. 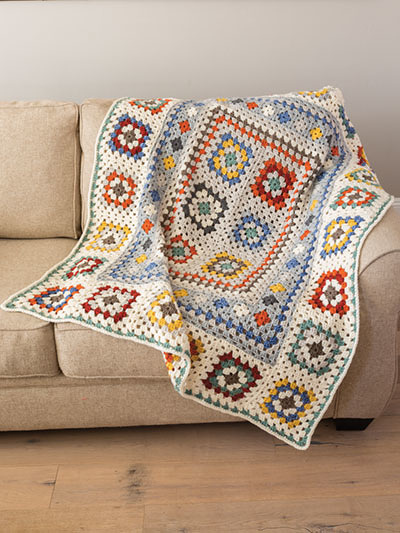 Finished sizes: afghan -- 48"W x 61 1/2"L; pillow -- 11 1/2"W x 17 1/2"L, excluding border. Design by Britt Schmiesing for Annie's Signature Designs. Incredible! This is a true beauty. Took a little to collect my yarn, but since getting it, I can't wait to finish it. I have been thinking about getting a new sofa just to give beauty a new frame. The colors are fantastic! I love this pattern. It took me a while to get all the yarn I needed. What I have learned through know fought of yours, I am not ready to do intermediate patterns; therefore, I have signed up for classes on line to learn how to read patterns, how to find the gauge, etc. I am also going to Hobby Lobby to take classes. I'm retired now; therefore, I look forward to completing this project.